Northern Sweden and what in common parlance is called Lapland is an immense area embracing a third of the country and many fishing waters. The fishing season is short, but intense. 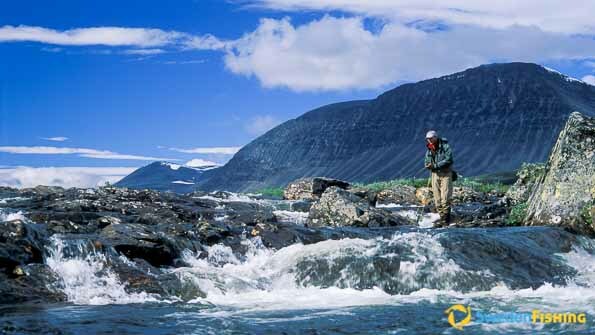 But during the long bright summer months there are few places in the world that can match northern fishing. handsome days under a clear blue sky are actually not unusual. Many lakes in northern Sweden are still frozen over in June and the fishing season often begins with midsummer at the end of that month. 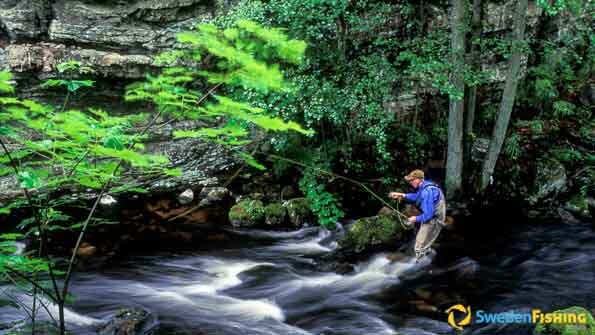 During the first weeks the water levels primarily in running waters can be rather high and the fishing problematic as a result. 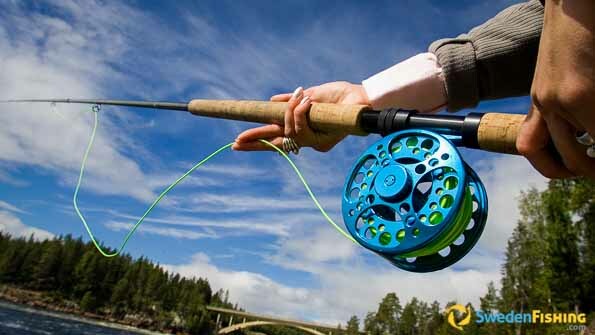 Still, since the fish are active as soon as the water level and weather reach optimum, sportsmen who book early in season bear witness to good fishing in the right conditions. Northern summer months can be wonderful with warm days and wondrous nights, but visitors must never forget the proximity of the Arctic Circle. The weather can change very quickly, especially in the alpine region. “Even if you’re here in July and August you should always bring some warm clothing,” says Sven. “If cold weather comes from the north, there is a risk for cold nights, sometimes even with frost in mid-summer.” But the change back can be just as quick and during a week’s fishing you can experience winter, spring, summer and autumn. “But that’s the charm of northern Sweden – taking the days as they come and living according to nature’s own pace.” When August passes to September, the autumn makes its entry on the northern scene. The trees turn yellow in preparation for yet another winter. Many trout waters are closed down in mid September, but grayling can be superb throughout the month.